I think each episode title is very significant and very appropriate. I also think that Saito and Ichihara are doing commendable jobs in their roles. There isn’t necessarily anything wrong with Hayase’s acting, but I feel he’s a wee bit outstripped by the men playing his older brothers. Ryo is waiting around at the police station when Irie brings out Mitsuru in handcuffs. 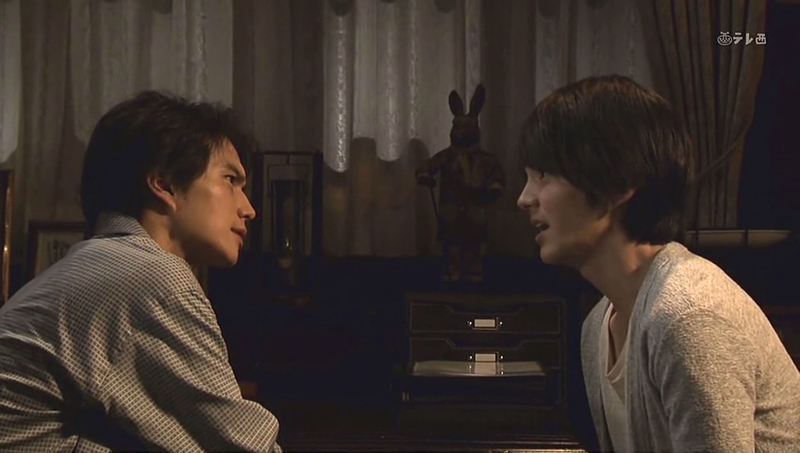 Ryo rushes up to his eldest brother and vows to save him as he believes Mitsuru is innocent. 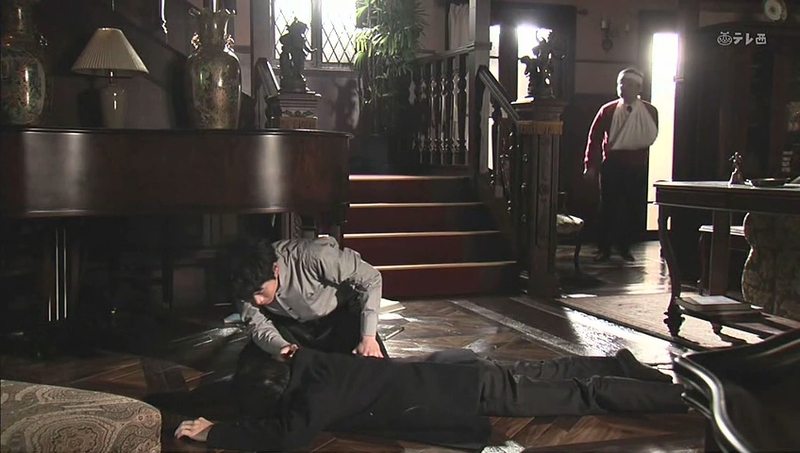 Meanwhile, Suematsu finds Isao facedown on the living room floor. 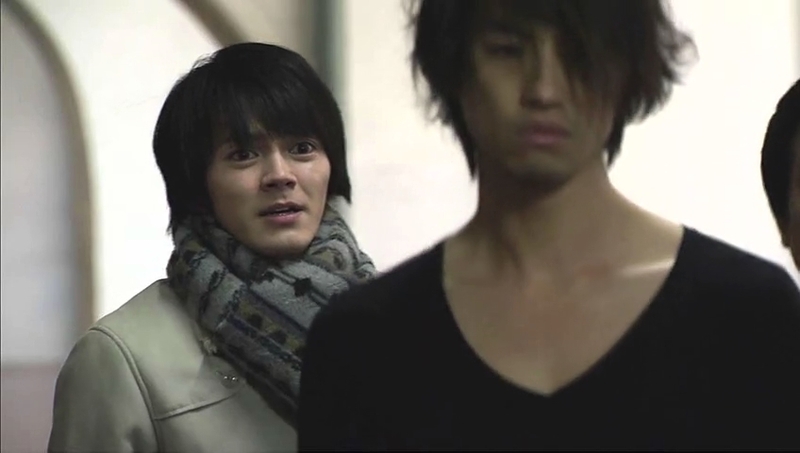 He freaks out and Oguri comes running. Isao comes to and both servants wish to send the young man to the hospital, but Isao slowly gets up and says that he is fine. He then slowly looks up at the picture of his father. Isao is lying asleep in his bed with Suematsu watching over him with a worried expression. How did Kurosawa Bunzo manage to employ two warm-hearted and loyal servants when he was such a demon? Anywho, Ryo comes home and immediately goes to his brother’s room. 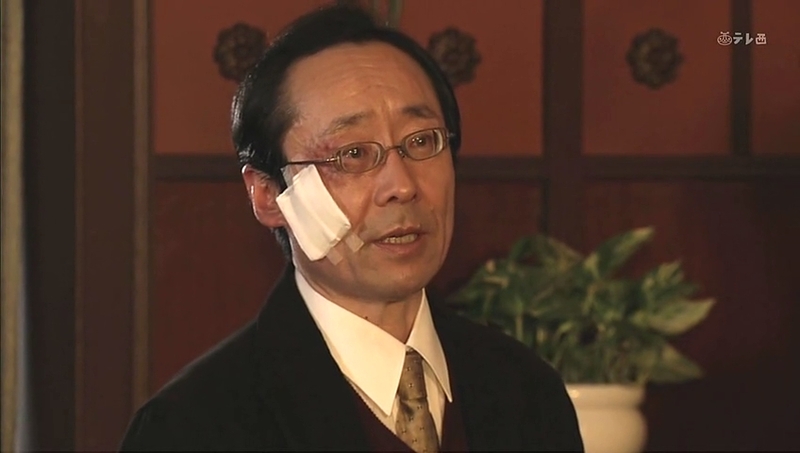 Suematsu says he believes Isao made himself sick with worry over the estate and the murder. 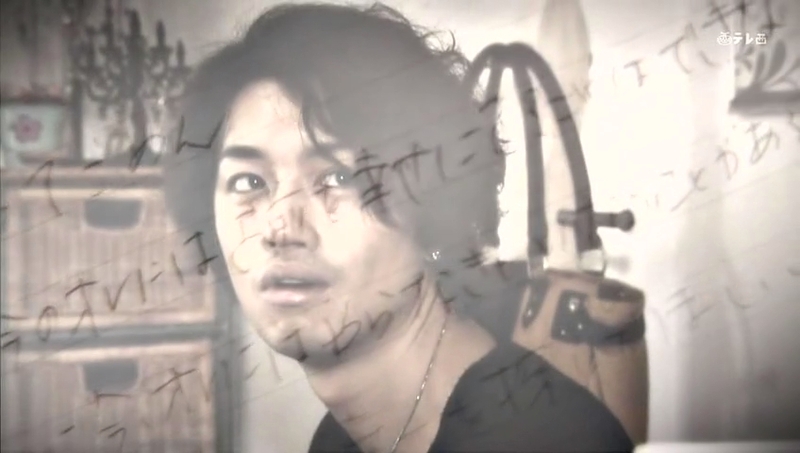 Ryo’s face is actually difficult to read in this scene. He and Suematsu go downstairs where Oguri hangs up the phone and reports that Mitsuru has been sent to the prosecutor’s office. This means that he is one step closer to being slapped with his father’s murder. This upsets the youngest Kurosawa greatly as he believes in Mitsuru’s innocence (so do I). Ryo agitatedly grabs his coast and rushes out asking the two servants to take care of his brother. 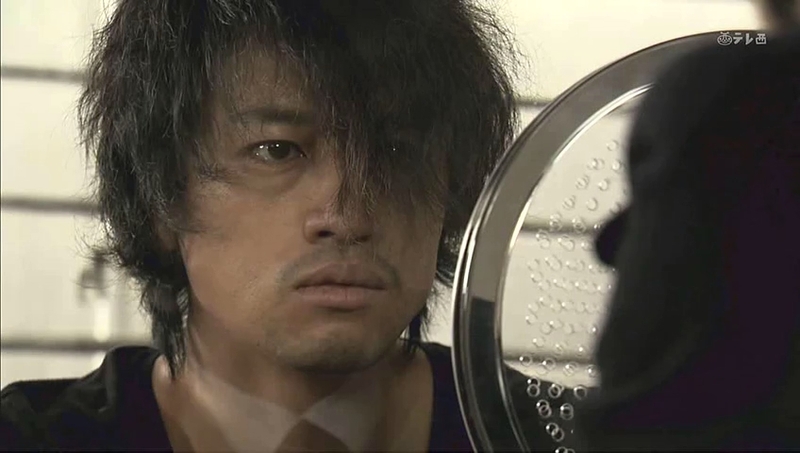 Oguri is not happy with this at all. He picks up his own coat and briefcase and says that thanks to Bunzo’s murder the company is in huge trouble. Isao is sick and Ryo is like that—it’s up to Oguri to take control at the company and try to save it. 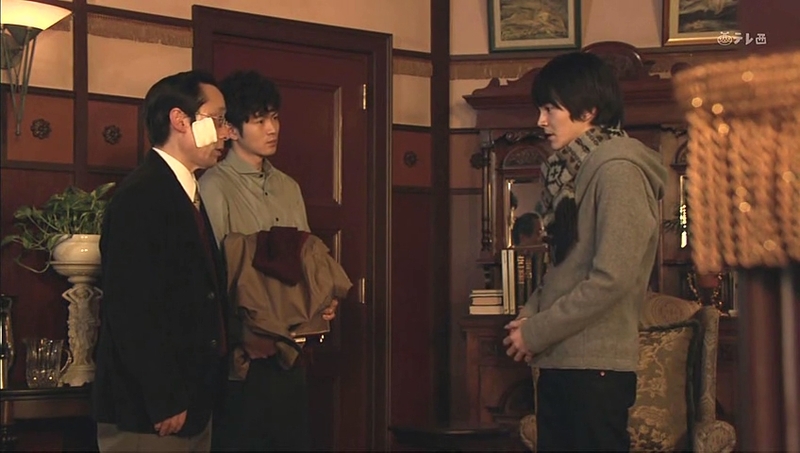 He then asks Suematsu to take care of the house while Oguri takes care of the business. Ryo has gone to Mitsuru’s favorite bar. Boy is he horribly out of place with his cup of coffee. Kurumi walks in and spots the baby Kurosawa. She looks uneasy, but walks past him. Ryo quickly gets up and goes over to her and says he was waiting for her. What does he want from Kurumi? Ryo explains Mitsuru’s dire situation and how he is looking for any proof to show that his brother is innocent and to save him. Since Mitsuru tried to run away with Kurumi, she is very important to Mitsuru—is there anything she knows that can be of help? Kurumi’s look softens and she asks the baby of the family to drink with her. Why doesn’t Ryo blame her for what she did to his older brother? Ryo then brings up Mitsuru’s trust for Kurumi being the reason he doesn’t blame Kurumi for duping Mitsuru. She smiles at this. Mitsuru was an innocent and naïve man, but Ryo is even purer. How could such an evil man bear such sons. Kurumi then looks at Ryo and says that Mitsuru’s greatest desire was to protect him. Now…I’m actually not sure if she’s only referencing the baby of the family or both the younger brothers here. Meanwhile, Mitsuru is recalling his argument with Isao and his comment about the middle Kurosawa looking exactly like their father. He then slams his fist into the wall and sits down recalling Isao’s horrified face. 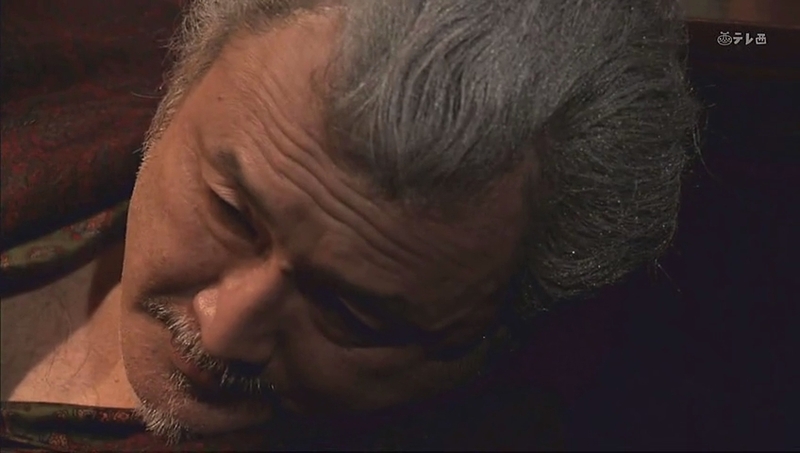 Isao is also thinking about his fight with Mitsuru and the delusion he had later of his father saying he can’t escape from the Kurosawa blood. Ryo comes in and asks how his older brother is doing. Isao gets up and says that he is fine and then asks what Ryo wants. Ryo asks to talk and Isao lifelessly says okay. Ryo then reports what has happened to their older brother—what does that mean for Mitsuru? That he will be put on trial more than likely for their father’s death. 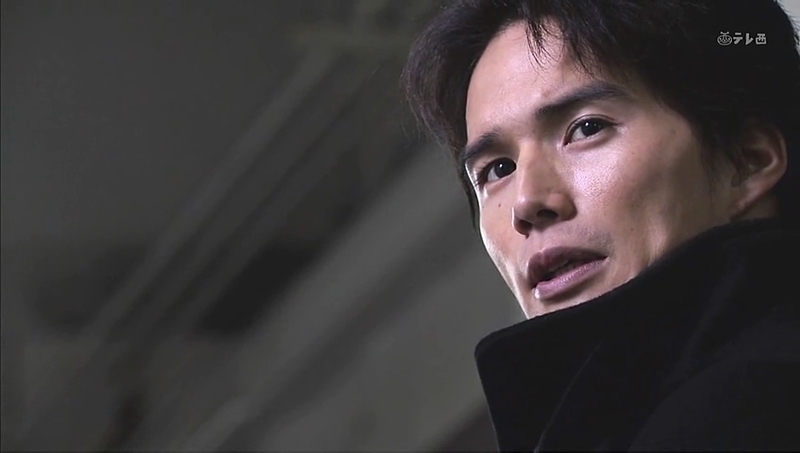 Ryo says that they must save Mitsuru before that can happen. Isao, look rather vulnerable wonders how baby Ryo can have so much faith that Mitsuru did not commit the crime. Ryo says this is because he knows their eldest brother. 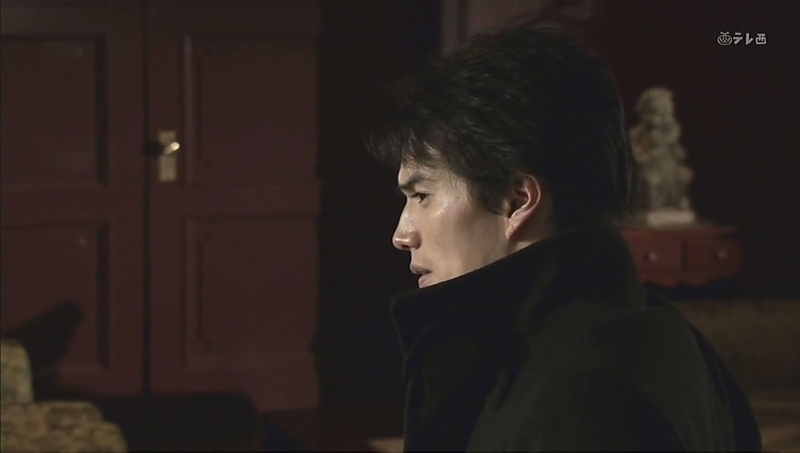 Ryo then reports that he met with Kurumi, which angers Isao as he doesn’t like Kurumi at all. Ryo then says that Mitsuru had wanted to be a hero and felt horrible about leaving the house alone without his brothers. With that feeling, there is no way Mitsuru would have killed Bunzo. Isao then asks about himself—doesn’t Ryo think that Isao killed their father? Of course not. How can that be? Ryo knows about his brother’s cold and cruel side—didn’t he corner and hurt Ryo once? 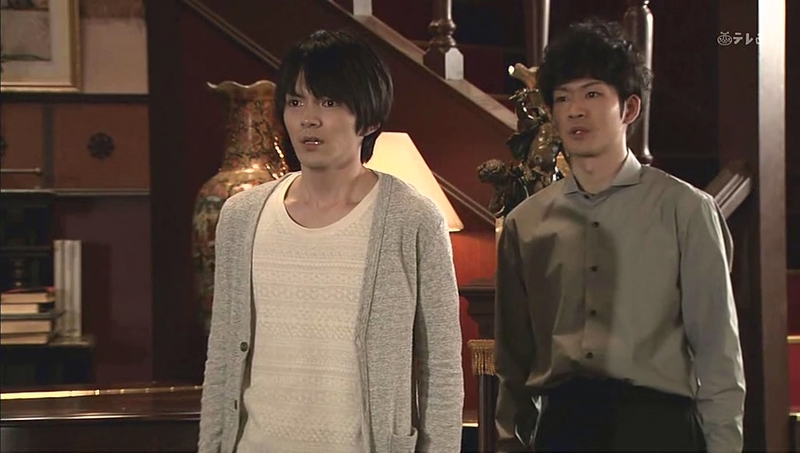 Ryo does believe in Isao’s innocence even though he was once afraid of the middle brother. Why? Because Ryo had recently discovered such dark feeling within himself. Plus, didn’t Isao tell him that such feelings were natural? Ryo grabs a chair and sits down. The difference is whether or not the feelings are acted on—that’s the turning point. 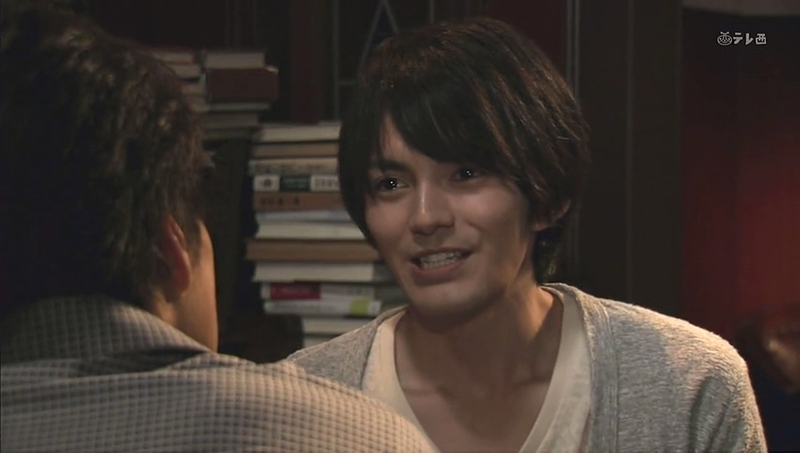 Isao leans in closer as Ryo keeps talking. Ryo mentions his beloved professor who told him about the power of the soul that can use anything as nourishment. Even though there is darkness, there is a chance to turn it to light. Ryo smiles brightly and says that thanks to those words, he is able to continue on. Isao says that Mitsuru or himself could have such impulses that they gave into, but Ryo adamantly believes both his older brothers can resist—such an innocent. Well…he may not be wrong, but…it’s amazing how he can have such pure and blind faith in his brothers. Ryo says that while malice and hatred swirl inside his brothers, they will definitely not act on it. Isao is stunned. Why is Ryo so certain of this fact? Ryo asserts that it is because the three of them are brothers. Ah…because they share the same blood? It’s not the relation of the blood that I believe. It’s the length of the time that I spent with you that tells me. Isao is shocked by this even more. We then flashback to the past and the three brothers playing together happily despite their father. 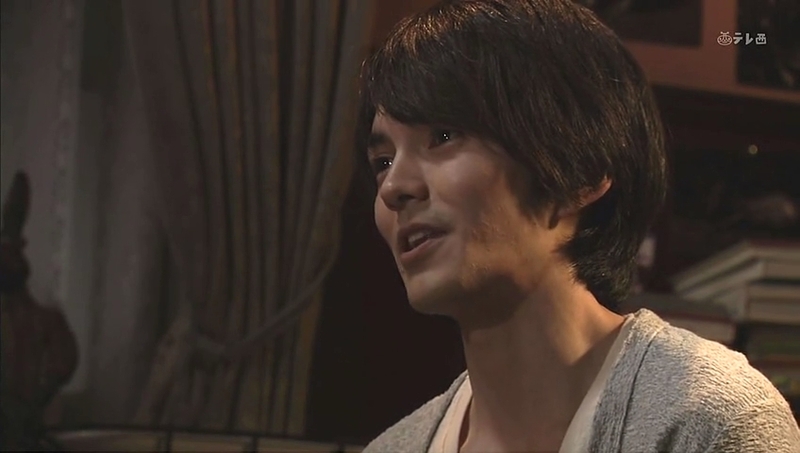 Ryo then says that it is because of his older brothers that he was able to survive until now. Isao then states he cannot be like Ryo and believe in people—humans aren’t simple creatures. Be that as it may, Ryo’s feelings for his brothers will not change. Isao tears up at this. Mitsuru lies lifelessly in his cell while Kanako lies lifelessly recalling Mitsuru’s note about not being able to make her happy. She then recalls seeing Kurumi and Irie’s words about Mitsuru running off with another woman. Then Isao’s words about her tormenting him to have revenge on Mitsuru comes to her mind along with Isao asserting that there is no way for Kanako to save Mitsuru. She slowly sits up. 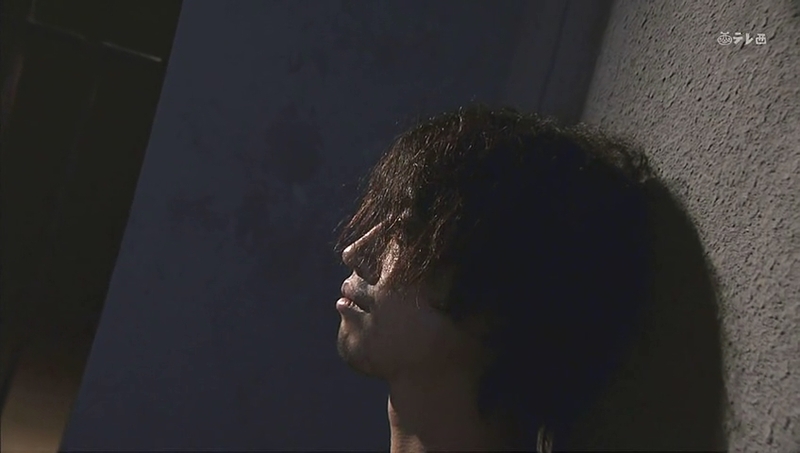 Meanwhile, Isao is having a nightmare. About what? Ryo goes to Irie to demand that they reinvestigate and clear Mitsuru’s name, but Irie says it’s in the hands of the prosecution now to bring the matter to light. Meanwhile, Oguri is struggling trying to keep the company afloat with everyone wanting to cancel or change contracts. He complains about how disloyal and ungrateful people are. I would do the same—Bunzo was a horrible person and a crooked businessman—it’s not being ungrateful for the partners had nothing to be grateful about since Kurosawa Bunzo could, and did, turn on a dime to destroy them. Ryo rushes in and asks after business associates who hated his father. 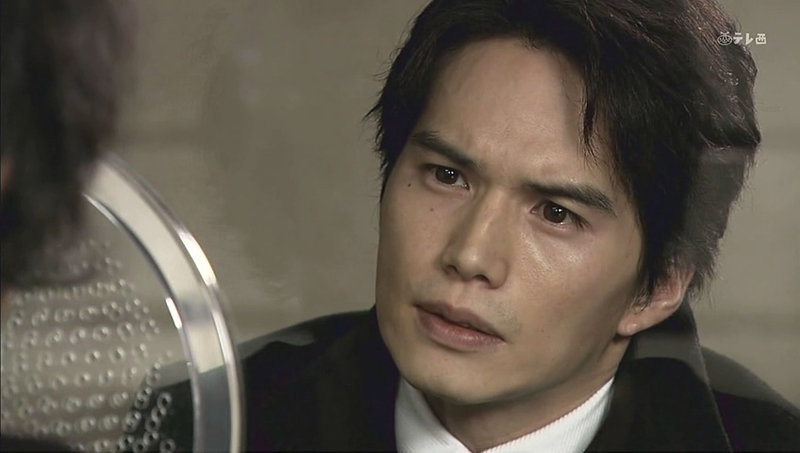 Oguri is not pleased that Ryo is still digging around for proof against Mitsuru’s guilt. He does admit that Bunzo had many enemies, but cases like the Sugiyama case were very rare since while Bunzo was harsh, they were still able to make a living. 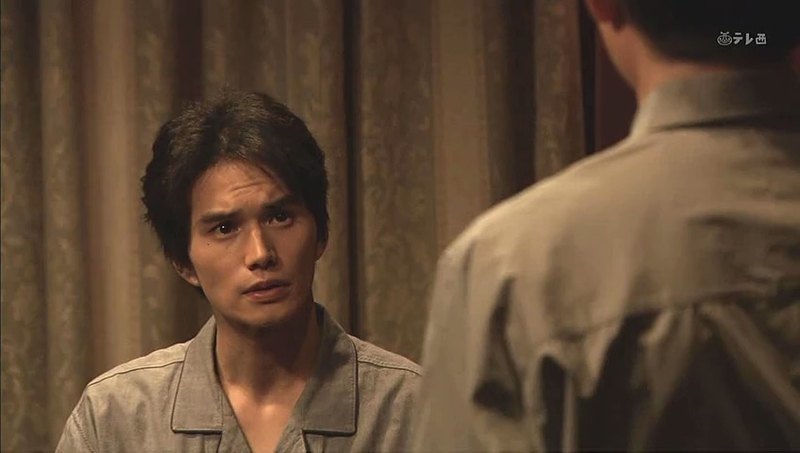 Ryo then asks after the many women in his father’s life. 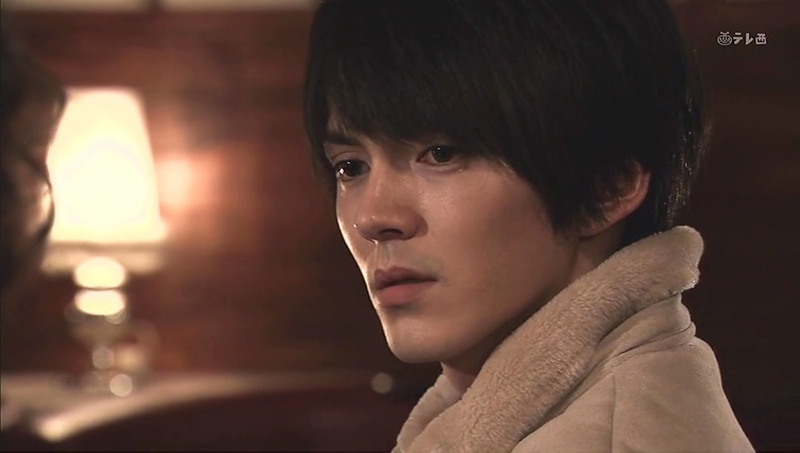 Oguri says that Ryo needs to stop trying to prove Mitsuru’s innocence and leave it to the police. Ryo needs to concentrate on going back to school. Ryo says he cannot be concerned about his future at the moment while Mitsuru is in such dire straits. If he just concentrated on himself and didn’t support his brother, then what meaning does being brothers have? The police have already stopped the investigation and sent Mitsuru to the prosecutor’s office. Ryo will do what ever it takes to save Mitsuru. 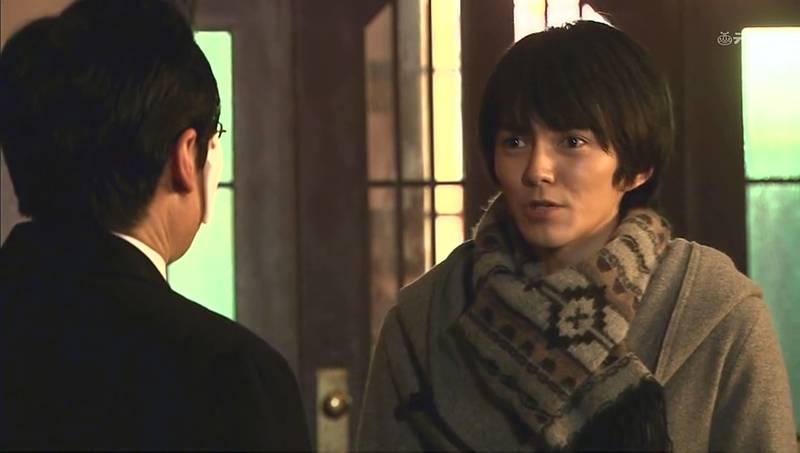 Ryo then apologizes for talking impertinently to the elder Oguri who bows in return and says that he understands. With that desire, Oguri can say nothing and will not try to stop the baby Kurosawa. He leaves and then Suematsu says that Mitsuru is lucky to have such a brother as Ryo. Ryo goes up to his room where he looks at a picture of his brothers and his mother. Irie is in the bathroom when his partner comes in and says that Mitsuru keeps maintaining his innocence in front of the prosecutors. The two complain of the eldest Kurosawa’s gall in not confessing his sins. Irie then says it’s a matter of honor if they cannot get this case closed quickly. WHY? Aiyo, so confusing. Anywho, this makes Irie go to Mitsuru and tell the boy that he’s finally been abandoned as Isao hasn’t shown up once after stating he was Mitsuru’s lawyer. Irie then says people will have a hard time if Mitsuru doesn’t finally confess, like Kurumi being constantly brought in for interviews. 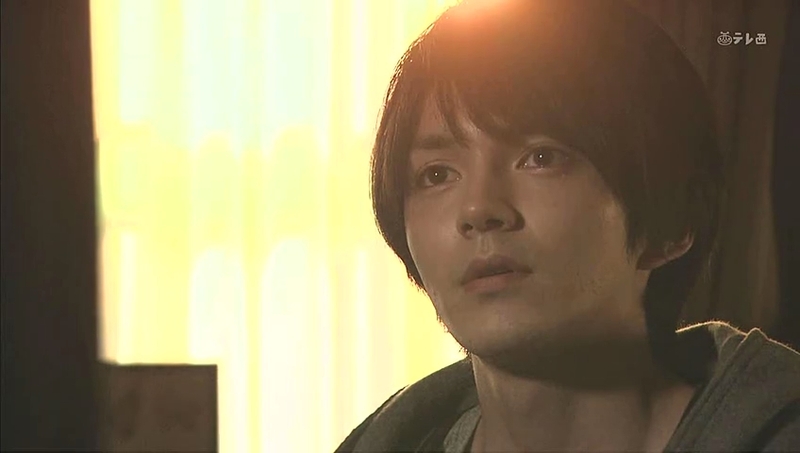 Irie says that since Mitsuru will be proven guilty in the end, he should just confess everything now. Sigh. Everything then have against that boy is circumstantial. Has Mitsuru become someone’s scapegoat? Is he really Isao’s? Or is some other force at work here? Kurumi is morosely drinking at the bar when a man comes in and says it’s been awhile. He wants Kurumi to drink with him, but she refuses as she is not in the mood. He then offers to buy her an expensive trinket, but she still refuses and tells him to leave. She then goes to the bathroom and recalls Ryo’s words about trusting her. As she leaves the bathroom Kanako calls out to her and introduces herself. Kurumi asks if Kanako has time to be goofing off when Mitsuru is about to be prosecuted. Kanako ignores this and asks if Kurumi can explain why Mitsuru wanted to run away with her. Kurumi tells Kanako to ask Mitsuru himself, but Kanako wants to hear why Kurumi was willing to run away with Mitsuru. Kurumi is silent. So she refuses to tell Kanako? Kurumi says that isn’t the case, she herself doesn’t know. Mitsuru was different that night. Kurumi had always known the oldest Kurosawa was a lonely man. Lonely? This surprises Kanako (that girl must have been really blinded by her own love/obsession as anyone could tell Mitsuru wasn’t happy). Kurumi then says that Mitsuru has been struggling to find the place where he belongs. Even though it was hard on him, he never gave up on hope; however, that night he was completely helpless and scared so Kurumi went with him. In the end, she could not save the troubled man. Kurumi then grabs her purse and leaves behind a shocked Kanako. 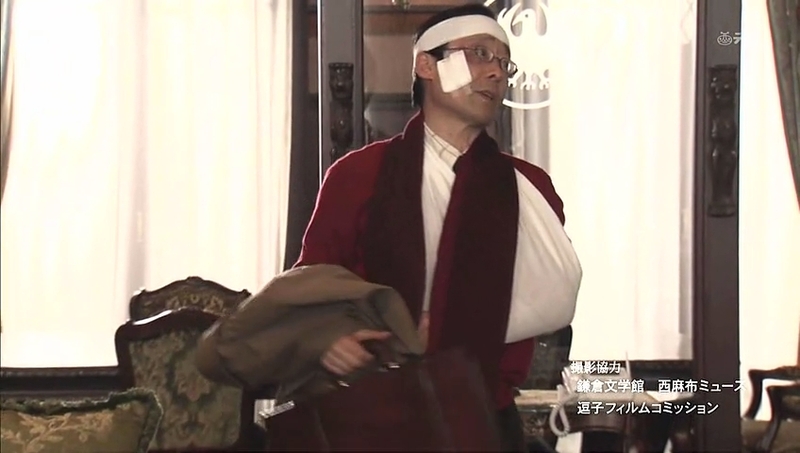 At the Kurosawa house, Suematsu takes care of Isao whose fever has finally broke. Isao wishes to talk to Oguri, but the older servant is currently out. Should Suematsu call him? No, Isao will wait. Suematsu goes to leave, but then pauses and turns back. He’s really glad that Isao has returned to the house. This really shocks Isao—why? Suematsu talks about Isao’s restless night and then tells the middle brother that he has done nothing wrong and does not need to suffer. Ala? Suematsu has always seemed strange to me, but he’s getting even stranger. Out of all the brothers…why is he so clingy with Isao? Suematsu then says that Isao is the only one who can succeed Bunzo. This does not make Isao happy as he doesn’t wish to succeed his father. Isao has another nightmare about Bunzo telling him that he is a slave to his desires. 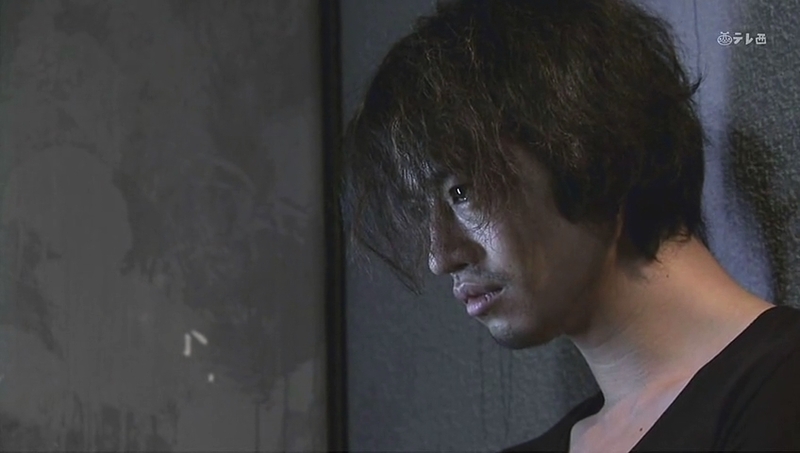 Isao recalls his pressuring of Ryo about saving Ichiro, writing his twisted story, about his desire to possess Kanako. Bunzo holds up his manuscript and tells his son that his desires are all written out. He climbs on top of his son and says there is no use denying it. Doesn’t Isao want him to live inside of him? Bunzo then keeps inching towards his middle son and it looks like their lips might have lightly touched. It’s disturbing, but like a form of possession. Creepy. Just plain creepy. We then cut to Ryo trying to wake the sleeping Isao who looks like he’s lost in a nightmare (no, more like a night terror). Isao wakes up and flings himself off his bed and immediately starts yelling. Ryo goes over to him and tells him that everything is all right. Isao says that he cannot take it anymore. He then tells Ryo to get away from him as he will probably hurt his baby brother. 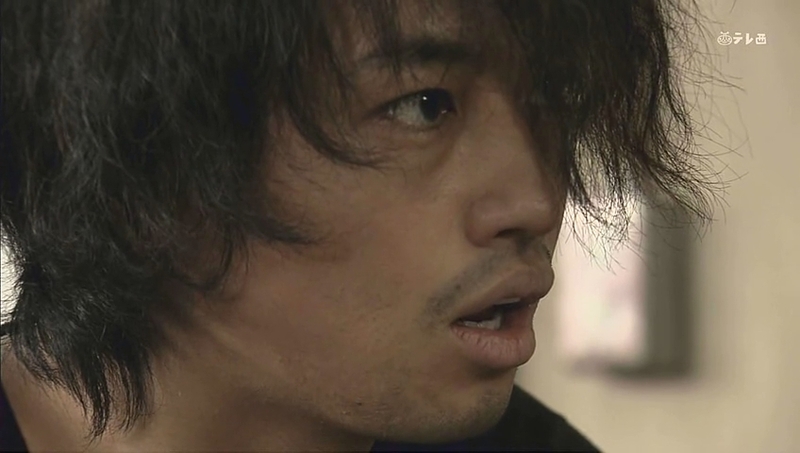 Isao then claims their father’s evil spirit is alive in him. Looks like Isao cannot escape from him after all and will be controlled by Bunzo for the rest of his life. He guesses it was inevitable since he is full of sins. Isao says it’s his punishment. Ryo says that Isao has lots of good qualities and strengths. Ryo says that while they all inherited their father’s blood, they also inherited their mother’s. Isao flashes back to a night where Shiori and the boys were watching the shooting stars. He asked his mother why night existed when it was so dark and scary. Shiori told Isao that it is only at night that you can see the light of stars. They used to guide people home long ago. She wishes that Isao could become a star and do the same. Dressed in a housecoat, the older Isao goes outside and gazes up at the stars. The next day a visitor comes for Mitsuru. He lifelessly sits down and there is Isao who says he heard that Mitsuru confessed to the murder. Doesn’t that make everyone happy now? Mitsuru then says that Bunzo’s last words to him were “You murderer.” His father’s probably giddily laughing at him in the other world now as Mitsuru has become one (in name only). Mitsuru then talks about how he asked their father before he left home for the first time why Bunzo couldn’t love his sons. Their father’s reply was to ask in wonder why he has to love the children just because they are his. From that moment on, Mitsuru had given up hope—he’s that man’s child after all. Isao then says that everything Mitsuru said that day was true. Mitsuru looks up at his younger brother who confesses that he wanted Mitsuru to disappear when his older brother took Kanako away. Isao then says he hated their father, but was domesticated by him. It’s true he really did hate Bunzo and wanted to kill him. However, he will work hard to prove Mitsuru’s innocence as that is the only way he can defeat their father. Isao then asks if Mitsuru wishes to break out from Bunzo’s control as well. Can he tell Isao what happened the day of the murder? 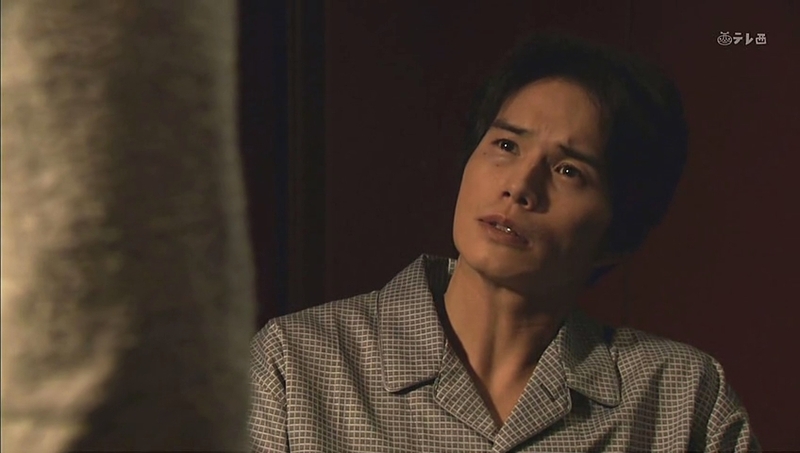 Ryo goes to visit his mother’s grave and comes across the old servant who told him about his mother’s prostitution. 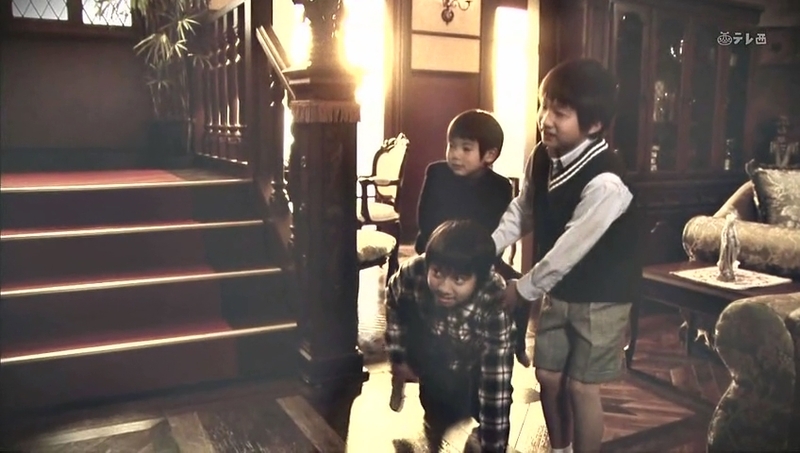 A guard then delivers a photo of the Kurosawa boys and their mother to Mitsuru. Meanwhile, Irie confronts Isao about defending Mitsuru. Irie yells that Isao will lose. Isao looks back and confidently says that he won’t. Irie then asks if Isao believes in Mitsuru’s innocence like Ryo. Innocence? 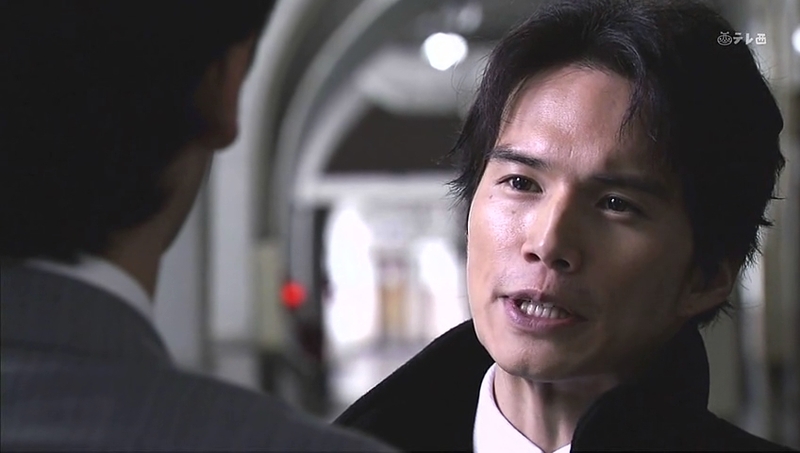 Even if Mitsuru killed their father, all Isao has to do is make other people believe that he didn’t. Irie calls him a violent man and Isao says that Irie is that same—he will call white black to suit his circumstances. End episode. Ahhhh. The suspense is killing me. That’s a good sign. Can’t wait until the next episode, although it still looks like there’s quite a bit more behind this mystery to unravel.